Haviland Limogese serving bowl. Bowl is 10" long, 9" wide, 5" high. 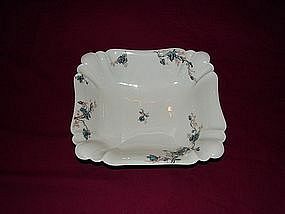 Marked Haviland limoges HCL. Has one small ship on bottom. Can't be seen unless you turn it upside down. Beautiful flower pattern.